Driving in the WA outback can be extremely tough on truck tyres. That’s why it’s important for both the driver and the truck owner to be vigilant in keeping a close watch on what is happening to the tyres. 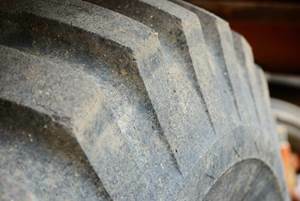 Todd Lupton, who manages two road trains that makes regular long haul journeys from a mine in the northwest 400km inland from Port Hedland, has created a tyre policy he believes is working to keep truck tyres in a better condition for longer. We hope you find this advice useful. You might also like to read about some new brake rules for trucks or learn more about Todd Lupton’s tyre policy here.